The family and I took a trip to San Francisco to meet up with the husband’s family this weekend, so that dominated our schedule. The first part of the trip was to the Dickens Christmas Faire, a local institution that Terry and his sister have attended for years, but I never got around to going to. My observation, it smelled a lot nicer than Victorian England as the place fairly reeked of some mixture of cloves and spice. I guess it’s like the Bellagio, all of the canals–none of the sewage? 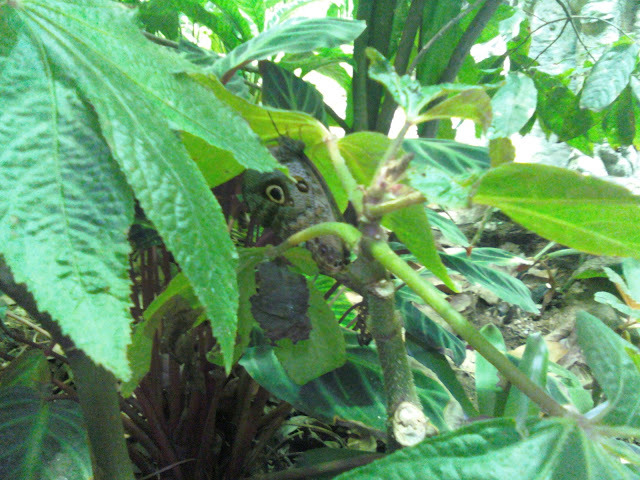 Sunday was a trip to the California Academy of Sciences. This was one of a number of San Francisco museums to undergo renovation recently. It’s reopened in the last few months, so there were crowds. Husband and sister in law used to go there as kids back in the day (the 1970s), when most children’s facilities run by the city had free-admission for local kids. Now it cost us $65 to get in with two adults and the son. Dh liked it, but it was definitely not the CAS of old. SIL hated it for that reason. She did bring up an interesting point, that they had cut the number of exhibits, including ones she loved. One of them was the “Hall of Man” which had old school exhibits about the evolutionary development of mankind. The evolution part seemed to be regulated to botany and zoology in the Islands of Evolution exhibits which focused on the Galapagos, and Madagascar islands. This made me wonder how both liberal and conservative desires could be shifting the focus of teaching about evolutionary science. I’m sure that the “Hall of Man” seemed too anthro-centric, and shifting to the Galapagos gets you talking about ecosystems, not just one species. OTOH, it helps you conveniently avoid discussing man as a primate, and keep the focus on turtles and frogs, which is less inflammatory to the anti-evolution crowd. I’m just wondering?